Look at this yellow creature! Isn't it cute? It is looking at the candy, that is located too high and too far away. Can help help him to get it? 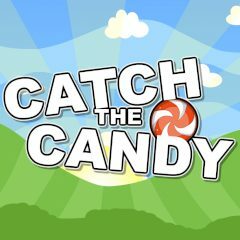 Click on grey blocks to pop them and release the candy. This candy is so sweet, that no sweet-tooth can pass by. Just look how big it is, but unfortunately, it's too high and too far away. Tap on the screen to blow the bomb or destroy a block under the candy and release it. Clear the way for the candy and direct it, so it can reach all yellow stars before it gets in the hands of a yellow creature!